Warrington Wolves recently took part in the inaugural BIHL at the Soccerdome Trafford. Wolves were honoured to be invited into the well organised event and the recognition that comes with it. 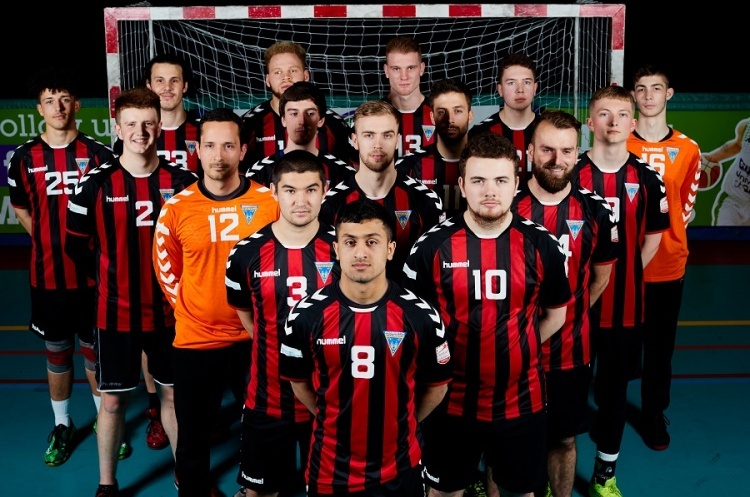 On Saturday our young Wolves team took on Premier Handball League Champions and England Handball National Cup winners London GD in the semi-finals. Although GD were understrength they still posed a threat and Warrington, missing Ed Irving and Nate Green (released for international duty), knew they had to be at their best if they were to progress to the final on Sunday. The game started well for Wolves. They opened up a five-goal lead very quickly and built on this as the game progressed. Warrington eventually won 35:19, their biggest win against GD. Top scorers for Wolves Rafik Tahraoui with 10 goals, Jacob Maxted with eight strikes, and Toby Venables with six. The victory set up a final with Dublin International who won the other semi-final 36-32 against Dublin City. The final was a slightly closer affair with Wolves just getting their noses in front to lead at the break 14:8. Wolves then dominated proceedings in the second half to record an impressive 34:23 win. Top scorers were Nate Green nine goals, Jacob Maxted with eight and Rafik Tahraoui with five. Warrington would like to thank all their supporters who turned out for the two days and to the organisers for a very well run event. Following the Under-19 boys’ success in the 37:23 cup final win against NEM Hawks, what looked like a rebuilding phase for new coach Chris McDermott - following the loss of seven players from last year's treble winners - has turned out not too bad, and brings Chris his first major trophy.